Dr. Black always inspires my heart. He has this calm, trusting way about his words that inspire your heart to act on God’s word. He is a man that knows God’s truth is true. His latest book, inspired by his speech from the National Prayer Breakfast, does not fail. 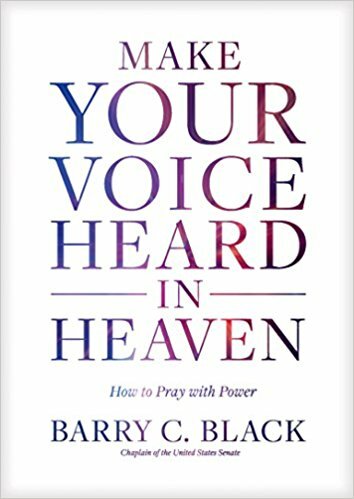 From reminding us that we are a people to be praying for each other to reminding us to be intimate, quiet listeners before the Lord, Dr. Black stirs the coals of faith to flame. I was challenged countless times to change and reinvigorate how I pray. The section on cultivating reverential awe spoke deeply to me. Help me think more of you, Jesus. There were many points on types of effective ways to pray. My main takeaways were about personal repentance and how we are meant to be more of an us in prayer. Read all of his books. You won’t be disappointed. View all my reviews on Good Reads. I also enjoyed The Blessing of Adversity. This book was graciously provided by Tyndale House Publishers for review.